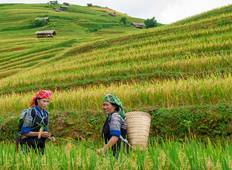 Discover a varied offer of budget christmas & new year tours that will take you through some of the most renowned destinations such as Sapa and Hanoi. Each affordable tour will provide you with memorable moments for some of the lowest prices on the market. "Our accommodations and tour schedule were perfect.The service and support was excellent...."
"Our plans changed just prior to the Sapa trek and we ended up staying only one night..."
"Sleeper bus layout was an experience for me. 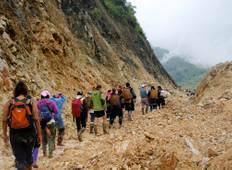 Be prepared for 5.5 hour journey to..."
"Our group of two couples spent 3 days with Pang in the Sapa region - Sunday at Bac..."